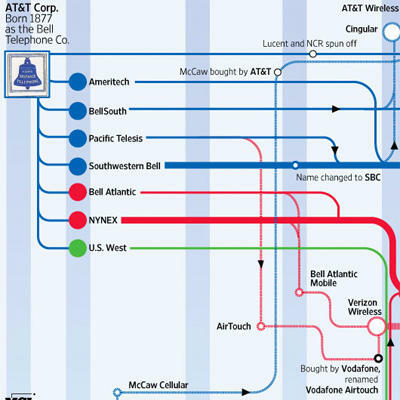 In the wake of today’s news that the Department of Justice wants to block the merger of AT&T and T-Mobile, it seems only appropriate to think back over the history of telecoms in the United States. While most of you won’t remember the break-up of AT&T into what came to be known as “the Baby Bells,” there was a time when the company was virtually the only game out there. After an antitrust lawsuit was filed in 1974, and years of battles, the company was split into seven regional carriers on January 1, 1984. 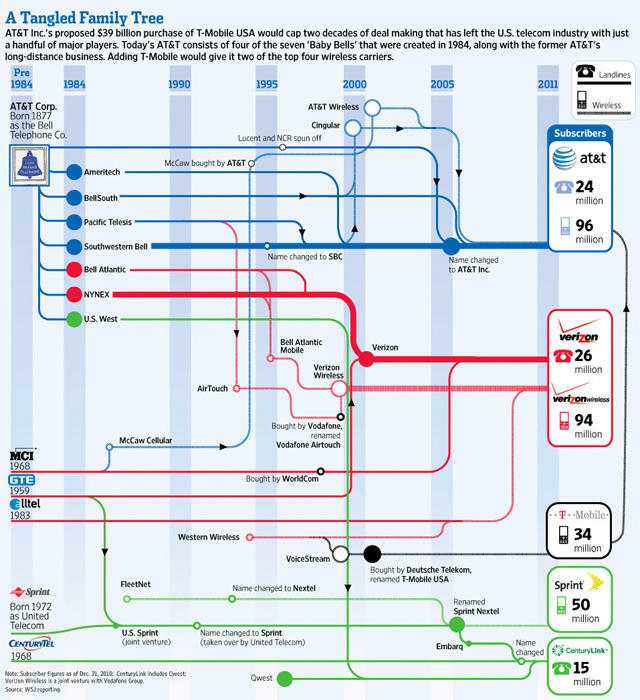 As you can see from the chart that The Wall Street Journal made up (click for a larger view), some of them have found their way back to the mother ship, a couple ended up at Verizon and another went off to other pastures. Seeing it all drawn out for you, what do you think now about the potential merger?